International students who have decided to pursue an undergraduate degree in game design must familiarize themselves with the curriculum and program structure of prospective institutions in order to best prepare for their chosen academic track. This article offers an overview of a game design major, some common and required courses, and other features of an undergraduate degree in video game design that students can expect. The article also establishes the careers for which an international student with an undergraduate degree in game design will be prepared. Video game design is a field that possesses many professional appeals, which has made pursuing a degree in game design an increasingly popular decision among international students coming to the United States to study. Careers in game design are not only personally fulfilling, they are typically quite lucrative. Generally, undergraduate degrees in game design are offered as Bachelor of Science degrees (BS). Though there are still a number of programs that offer Bachelor of Arts degrees, these programs tend to focus on the visual and narrative aspects of game design, such as character design and storytelling, rather than programming. A typical undergraduate degree in game design takes anywhere from 21 to 48 months to complete, and the cost depends on the state and institution hosting the game design program. In terms of scheduling, there is often a high degree of flexibility (based on individual student capabilities) regarding the number of credits per semester, and overall duration of the program. Perhaps the primary concern amongst international students pursuing degrees in video game design is the lack of scholarships and fellowships for such a course of study. While the video game industry in the United States is thriving and many programs are extremely well-funded, that money tends to be spent on state of the art technology and facilities, rather than financial support for students. Thus, it is important for international students to examine certain figures associated with the programs they are considering, such as any financial assistance available, average debt among graduates, graduation rate of students, and any industry affiliations/job placement opportunities that may be helpful upon graduation. Knowledge of the aforementioned factors will enable students to make an informed decision about which of the many top-notch game design programs in the United States to attend! An undergraduate degree in game design covers a diverse field of study that requires a familiarity with the many varying aspects of creating a game. The curriculum of an undergraduate degree in game design spans the entire process of game creation, and therefore draws from the fields of mathematics, computer science	and game/media production. Despite the major overlap between game development programs in the United States and game design, the latter tends to focus on the actual programming and software elements that make up the game-play experience. Programs often offer specializations within the broader game design major, like 3D animation or graphic design. That being the case, game design majors will be well versed in a number of skills desired by employers in the video game field. A robust undergraduate degree in game design will prepare graduates to take the lead on a particular aspect (say, image rendering) within the broader division of labor that is video game production, allowing designers to follow through on a game developer's vision! In fact, many game design majors are required to take on a major design role in creating a real game as a final project! 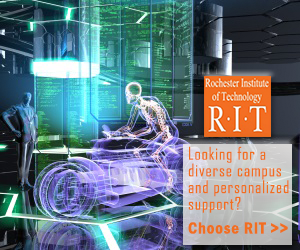 Typical courses within a game design degree include game design, computer science and programming courses, software design, computer graphics, calculus, linear algebra, physics, and many, many more. Deciding to pursue a game design major will link students’ careers with their passion and can also be a potentially lucrative investment. The undergraduate degree in game design a student receives will supply graduates with the programming and design skills needed to prepare them for being a contributing part of a design team at an actual game development studio!